Materialize is a Responsive CSS Framework based on Google’s Material Design Concepts. 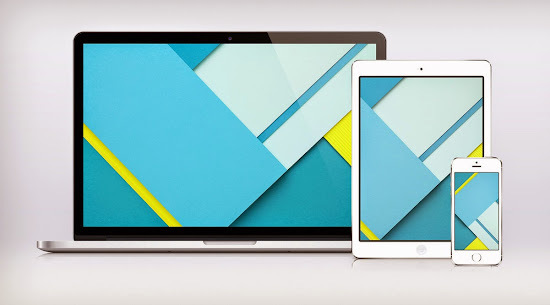 Materialize aims to bring material design to web which was initially made by Google for Android. In this tutorial I will explain what material design is and then we will build a blog home page using Materialize. A design language(or design vocabulary) is an style that guides the design of a complement of products. Designers wishing to give their suite of products a unique but consistent look and feel define a design language for it, which can describe choices for design aspects such as materials, color schemes, shapes, patterns, textures, or layouts. What is Google Material Design? Material Design is one of those many other types of designing languages like Flat Design, Metro Design, Realism Design etc. Material Design does differ to other types in terms of colors, typography, shapes, patterns and layout. But Material Design adds something very new to design language i.e, Motion and Stacking. Material Design provides mass, weight and motion to elements of design. This makes the design feel more like a story. You can find the complete guide to Material Design principles and concepts at Google’s Material Design Official Documentation. According to official website Materialize is “A modern responsive front-end framework based on Material Design”. So its just one of the many CSS frameworks like Bootstrap, Foundation etc but its based on Material Design concepts. Its based on a responsive grid system therefore its great to build web sites for all types of devices. You can download Materialize CSS, JS and Fonts files from Materialize Download Page. Now create index.html and css/style.css files. And finally create a images directory where the images for our project will be kept in. Here is the starting code in out index.html file. Here we are loading Materialize CSS and JS library and also our custom style.css file. Here is the code to display a navigation bar in which the logo is placed on the left and menu items are placed on the right. We are displaying a icon on left of every menu item to make the navigation bar more meaningful and engaging. Complete list of all support icon classes can be found at Materialize Icons Docs. Materialize uses a standard 12 column fluid responsive grid system.The grid helps you layout your page in an ordered, easy fashion. .container class is not strictly part of the grid but is important in laying out content. It allows you to center your page content. The container class is set to ~70% of the window width. It helps you center and contain your page content. We will use the container to contain our body content. We can define different layout for different viewport size(i.e., small, medium and large) using .s, .m and .l class respectively. On small screens we stack posts list and widgets. But on medium and large screens we lay them horizontally. Every post in index page has a heading, date, image and excerpt. Materialize provides ready made CSS classes to styling each of these elements. Here is the code for a single post in the index. responsive-img class on img tag makes the image responsive and materialboxed class makes the image zoomable on click. data-caption is the caption displayed when image is zoomed. z-index-1 provides Material design stacking look to each post item. Here is some custom CSS to leave some space and provide finishing to the post items. Place it in style.css file. We will display widgets on the sidebar i.e., second column. Here is the code for a single widget wrapper. Here is some custom CSS to leave some space between elements and provide finishing to the widgets. Place it in style.css file. Collections are list of anchor tags displayed vertically. Badges represent a text displayed on the extreme right of anchor tags. Materialize Provides many different classes for creating a great looking footer. But we will createing a simple footer with a copyright text on left and a link on right. Materialize provides an easy way for you to send unobtrusive alerts to your users through toasts. These toasts are also placed and sized responsively. If you planning to create a new website or redesign your site then I recommend to choose Materialize Framework because there are very few sites which are material designed and you site will stand out of the crowd. You can also use materialize in designing hybrid mobile apps. Please share your experiences with Materialize below. one small error; top, menu( contact, home ) disappearing in mobile versions. i love google materialize design. i make a CV with material style. Nice design, I will try this out. Well, Very good and i thing you share something genuine. And you are php html tutorial sharing hub. Thans a lot. Thank you for sharing this Google Materialize a Responsive HTML5 Framework i will try ..
Now days Responsive sites are earn money compare with non responsive sites and very strange experience for me some days ago i was on top on .com Google in ranking but in cell phone not rank and other site showing mobile friendly..
tutorial is very informative and thanks for the demo. Login box input effect is very impressive. This Is So Nice Post Which is very Informative !!! Impressive bro...thanks for sharing this informative article with us! Thank you for all this informations i want if i can put a picture in a Toast button ? ?